Aspinalls - Victoria and Albert Museum. Lift Shaft Frame - UK Engineering Experts | Engineering Business UK | Qualified Engineers Lancashire | Mechanical Engineered Products | Mechanical Engineer Services. 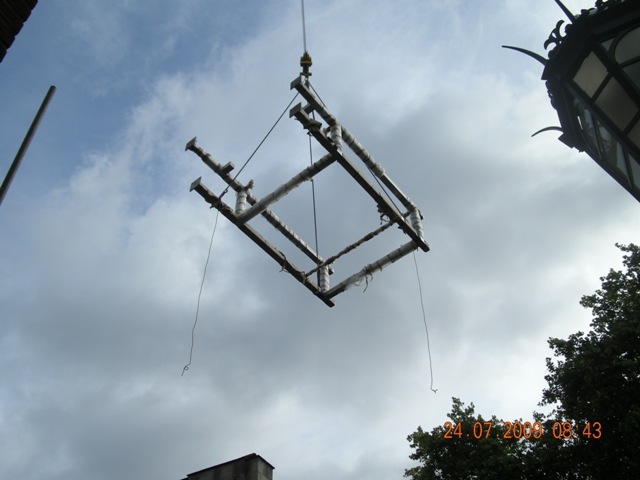 Job : 25m tall feature lift shaft frame. Aspinalls prepared fabrication details, supplied and installed a 25m tall lift shaft frame in grade 316 stainless steel. The lift shaft frame was designed by MUMA Architects (McInnes Usher McKnight Architects). 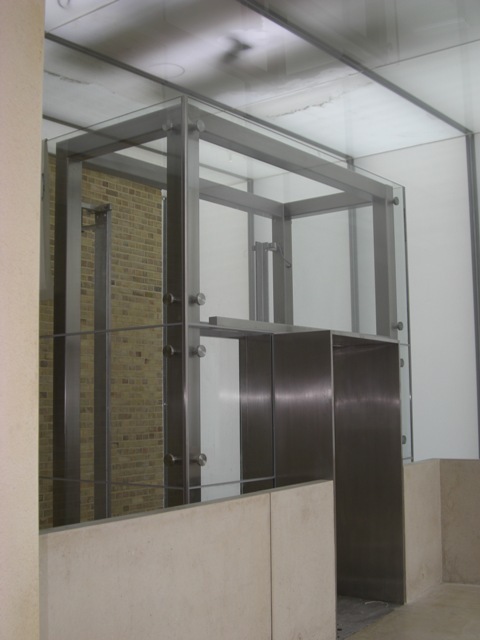 The frame supports the lift car and the door openings at the six floor levels, it is also a key architectural feature, standing in a glass walled enclosure. The frame was fabricated from 250mm x 250mm x 6mm polished stainless steel box section. 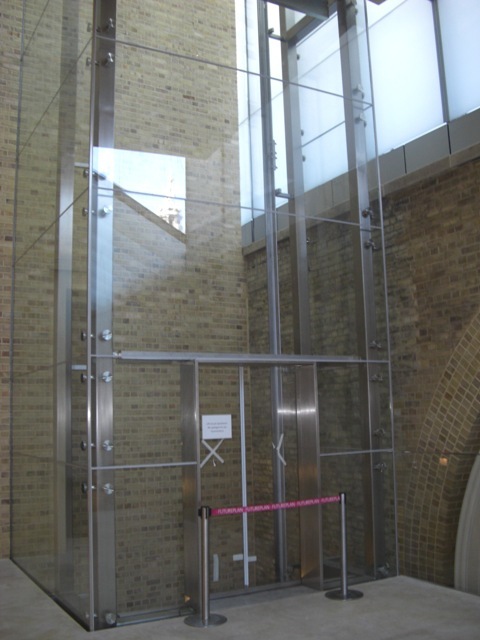 Manufacturing and installation tolerances were very tight to accommodate the glass panoramic lift car travelling within the frame, the finished quality requirements were very high due to the frame being in full public view through the glass enclosure. 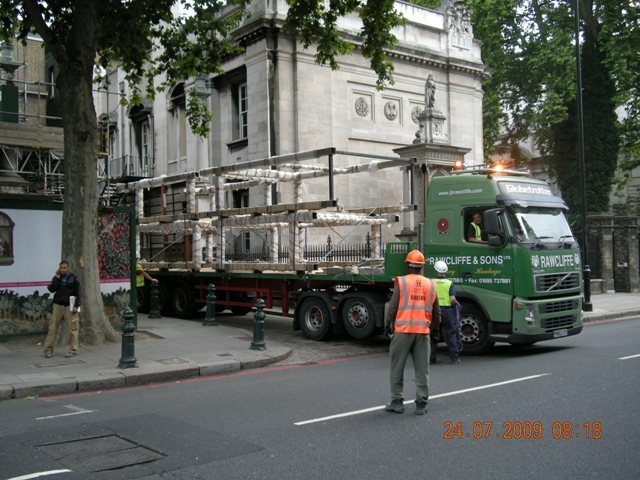 The frame was installed in four sections using the site tower crane, all site joints were fully welded and polished to achieve a seamless appearance.